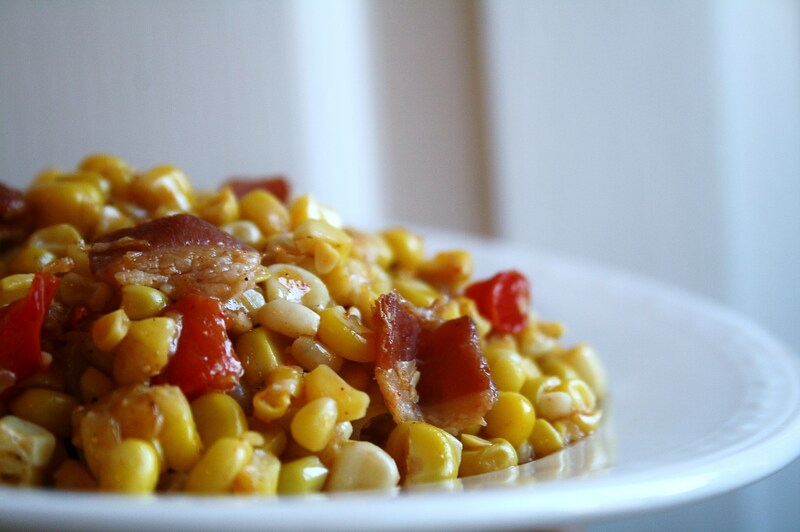 Fried corn with a kick! We cooked up way to much corn this past Fourth of July and I somehow ended up with 12 ears of cooked corn on the cob. I just could not let this yummy stuff go to waste so I made it into leftovers with a twist. With a family as big as ours you just don’t waste food. In a large frying pan fry bacon until crisp, draining bacon grease as needed. Add onion and peppers and cook until onions are translucent. Add corn and spices and cook 5-10 minutes until corn is throughly warmed.